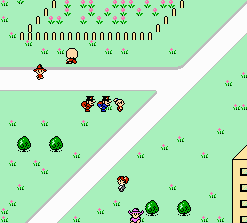 People find it so much fun that now there’s a content randomizer for EarthBound Zero too, courtesy of BBGangZombie! 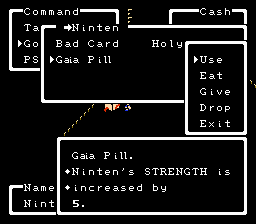 This program can randomly change a bunch of stuff in the NES EarthBound Zero ROM. For example, it will change enemies around and even give them new colors, names, and more! Sometimes it REALLY makes enemies crazy! 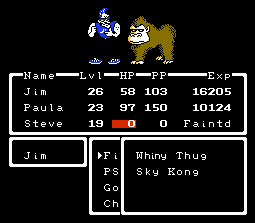 There’s even a “Monkey Mode”, which will turn the heroes into a party of monkeys! There’s more to this EarthBound Zero randomizer than just the above, so for more info and to download the latest version of the program, check here! I’ve been streaming a bunch of randomized EarthBound, so I think I’ll probably stream some randomized EarthBound Zero sometime too – if you’re interested, my channel is here. Actually, if anyone streams or does some YouTube videos of this EB Zero randomizer stuff, let me know so I can check it out! 11 Comments to The EarthBound Zero Randomizer! Well. The first enemy encountered is a long stick called a “Bum Device”. I tried testing it myself best I could but I wasn’t exactly very thorough with it, so I’m sure I missed something. 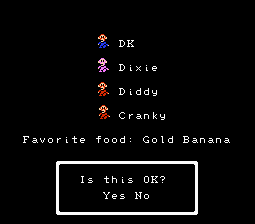 I’ve used the EarthBound randomizer/reshuffler many times, so I might as well give it a try. That is… if I can finish EarthBound Zero properly first, just for a better experience. @Bro: There’s already one. He even posted a link to it on the first sentence of this post! YES! He included the source code! That’s awesome for us Linux users! Or anyone not using windows. I’m not actually very familiar with Linux and stuff, but enjoy anyway! NYEAH! This gam suks cuz DK an DX ar in lov insteed of DD an DX! 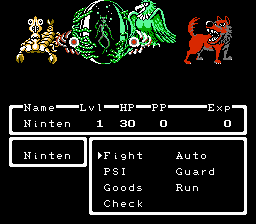 Joking aside, I think the randomizer thing is pretty cool! And now we have two games with a randomizer thingy thing? That’s Pertential! and blue cool!